Hi folks!! Chili Chicken is one of the popular Indo-Chinese dishes. Indo-Chinese food which started as street food emerged as popular cuisine in itself and is loved not only in India but all over the world. Chili Chicken with Fried Rice was always my go to dish during college days as it was deeply spicy and savory and is readily available at any chinese street vendor for low cost. 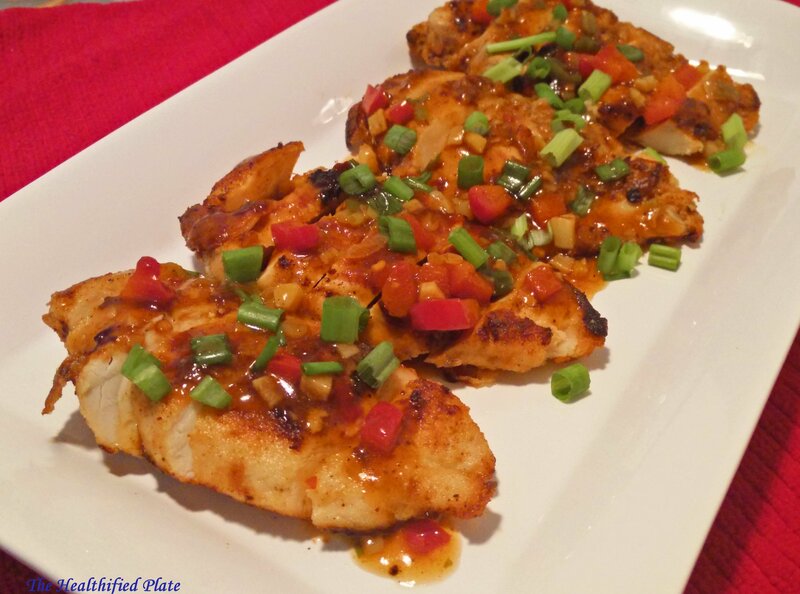 This dish involves deep frying battered chicken pieces and tossing in manchurian like sauce with some Indian flavors and good amount of chili. 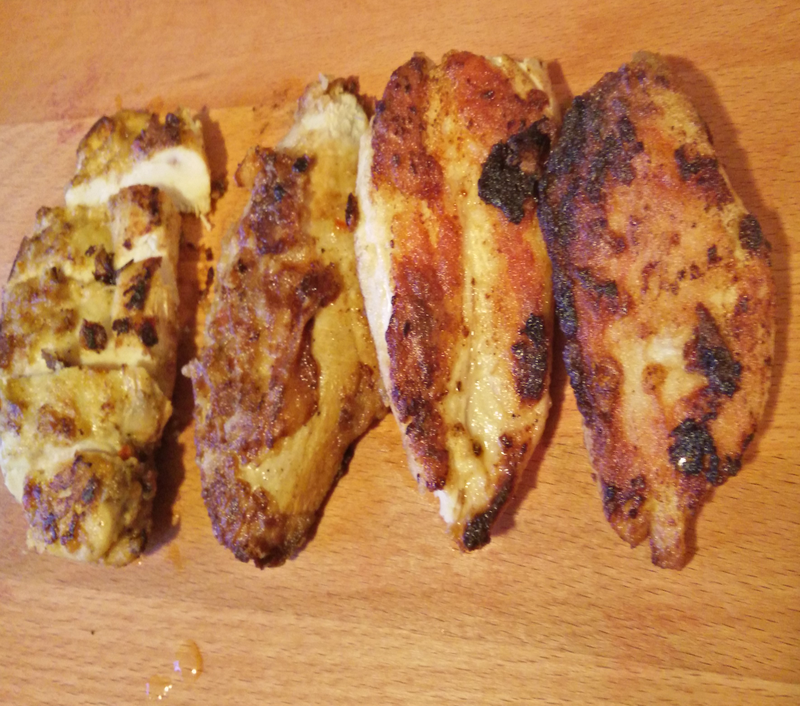 Here I coated the marinated chicken breasts with whole wheat flour, pan fried them (instead of deep-frying) and tossed in savory soy sauce and home made chili garlic paste. It is quick and easy as you don’t have the hassle of heating up oil for deep frying. It goes very well with burnt garlic rice or noodles but you can just serve with simple steamed rice for a quick fix meal and satiate your craving for our beloved Indo-Chinese food. For sauce, heal oil in pan and fry garlic, ginger and green chilies. Do not burn them. Add soy sauce, chili garlic paste, salt, pepper and honey. Cook for a minute. 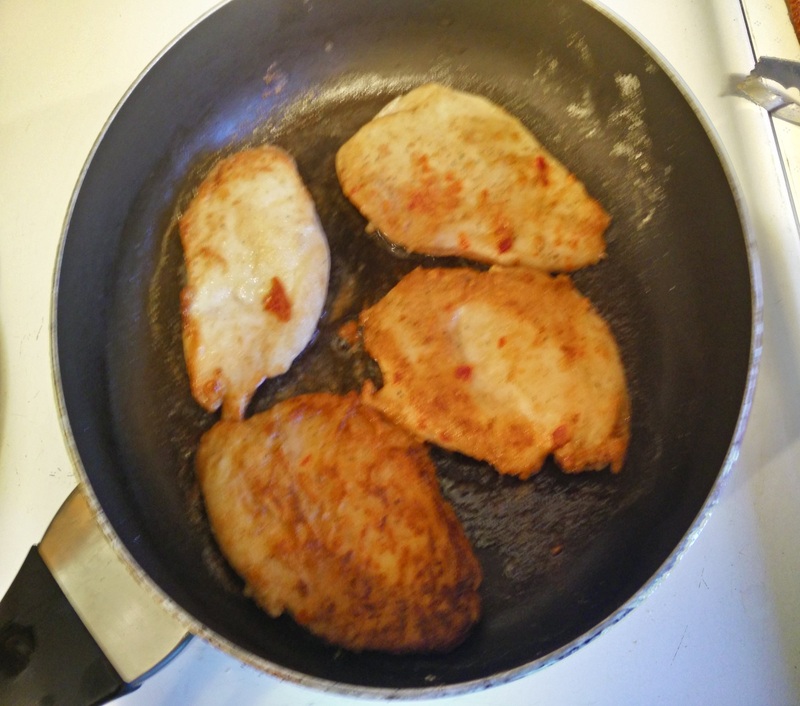 Add half a cup of water to pan and make a slurry with remaining water and cornstarch and add to the sauce. Stir and cook for 2 mins. Arrange chicken pieces on platter and pour the sauce on it and serve immediately.